A skywatcher has captured a TR-3B with his night vision camera at the moment the craft was flying at high altitude over the U.S. on January 1, 2019. 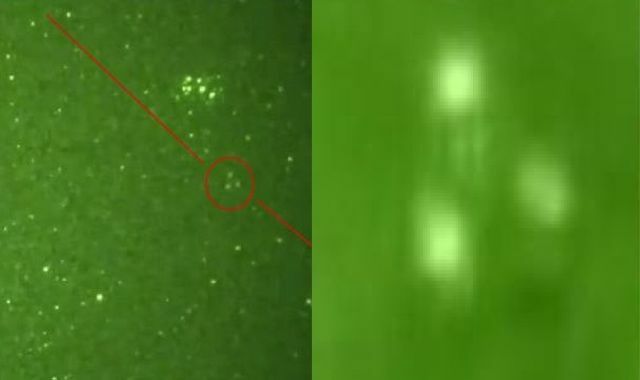 Even though the skywatcher does not give an explanation of what the object could be, it’s clearly a TR-3B since it has colored lights that appear at each corner of the triangle and a light source in the middle of the craft. The TR-3B comes into view at the top of the screen around the 0.21 mark in the video.